Most hurricanes that hit the East Coast barrel north from the Caribbean, make landfall, and then eventually drift out into the Atlantic Ocean. But that may not be the case with Hurricane Matthew, which could be poised to pull a rare U-turn and hit Florida twice, wreaking even more havoc as the region tries to recover. 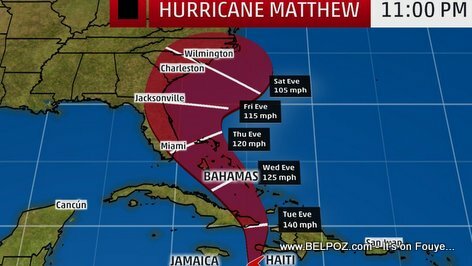 Forecasters say Matthew will likely hit the eastern edge of Florida Thursday night as a powerful category 4 storm and will continue up the coast through Saturday. But then, instead of shifting toward the Atlantic and slowly dying off, several models show the storm circling back to land and hitting Florida a second time next week.